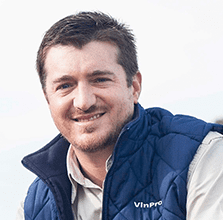 VinPro’s independent soil scientists specialise in precision soil surveys and mapping for informed decision support and risk management in the wine industry. The main goal: to ensure sustainable soil management with customised solutions. 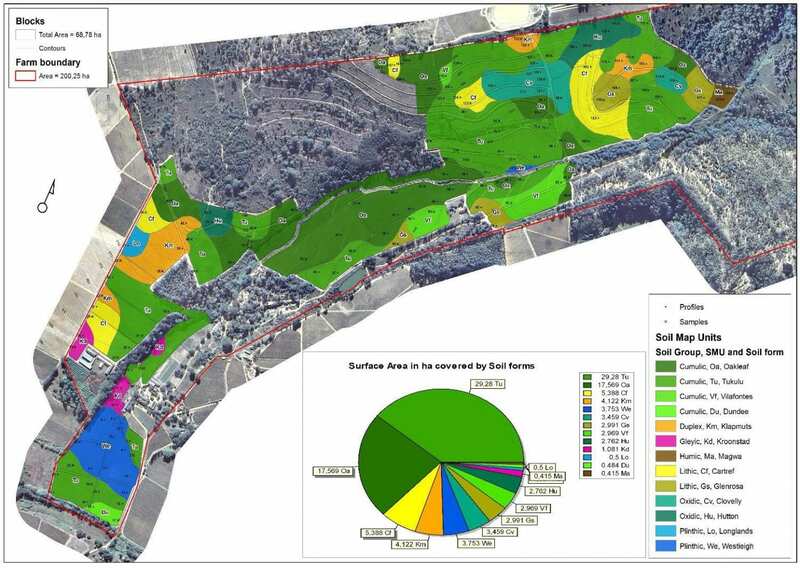 Geographic Information Systems (GIS) are used at VinPro to capture, store, manipulate, analyse, manage and present soil and other useful spatial data. VinPro offers customized mapping solutions for the wine industry. 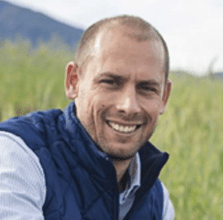 Soil management lies at the core of sustainable farming. 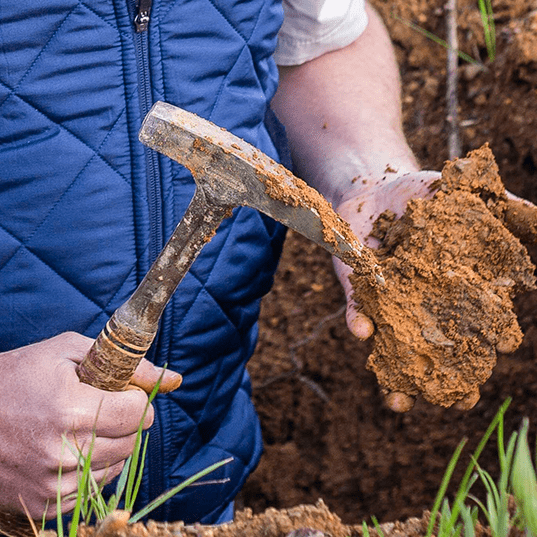 Proper knowledge of your soil properties and how to maintain optimal soil fertility is of vital importance to the grape producer. 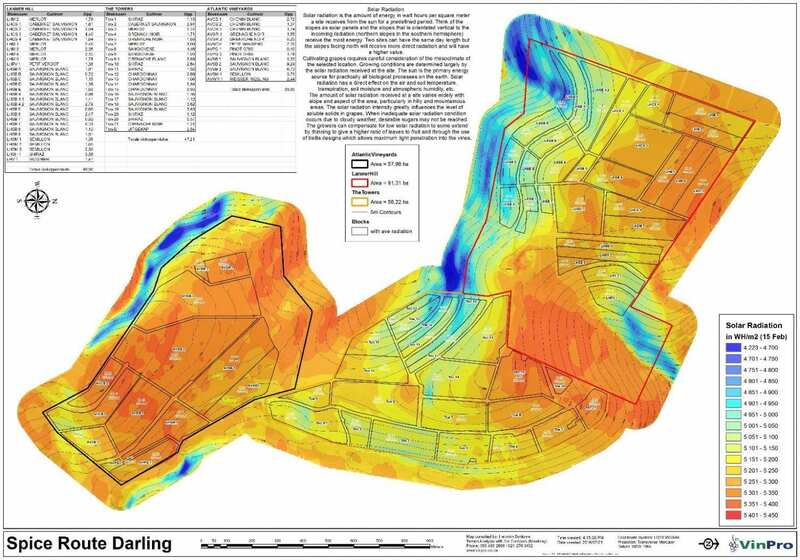 VinPro offers a wide variety of soil consulting services. 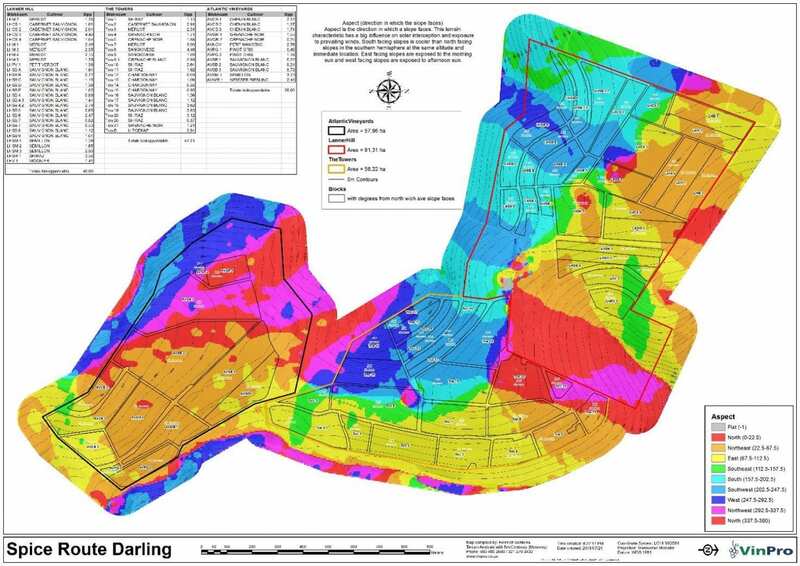 A detail soil map is the base of any farm planning. 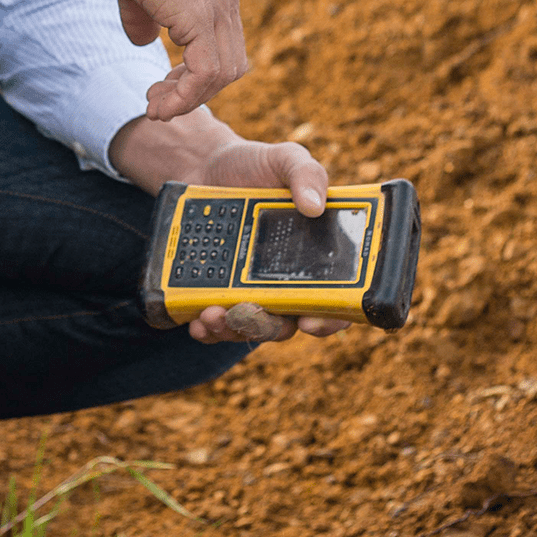 Detail descriptions of physical soil properties and rectification measures is needed to successfully plan a new vineyard. Below is different soil properties that is classified during a profile inspection.